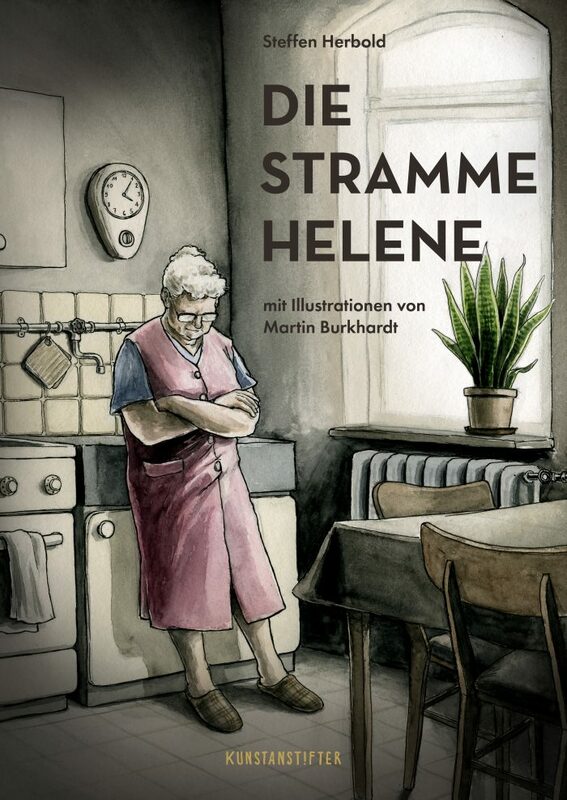 Helen the stalwart tells the story of a strong working-class woman who escapes her long-lasting hell of a marriage in an astounding manner on a fateful afternoon in the Spring of 1965. 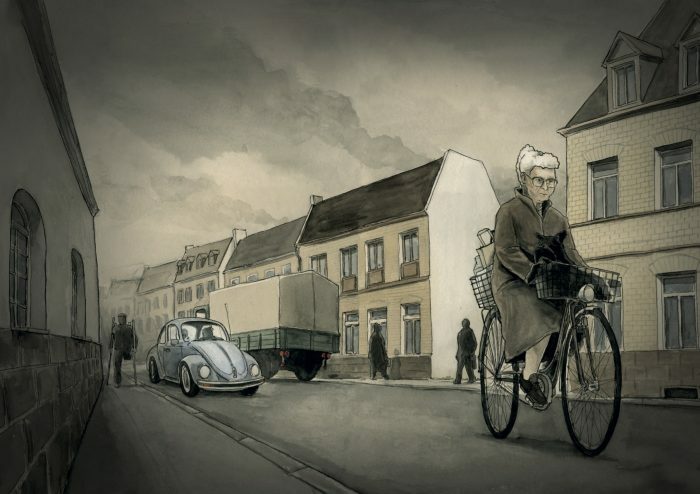 Formed by war and its aftermath Helen maneuvers her way through the muffled happiness of the early sixties and her unpleasant relationship with her husband, until she succeeds in creating her own slice of freedom. 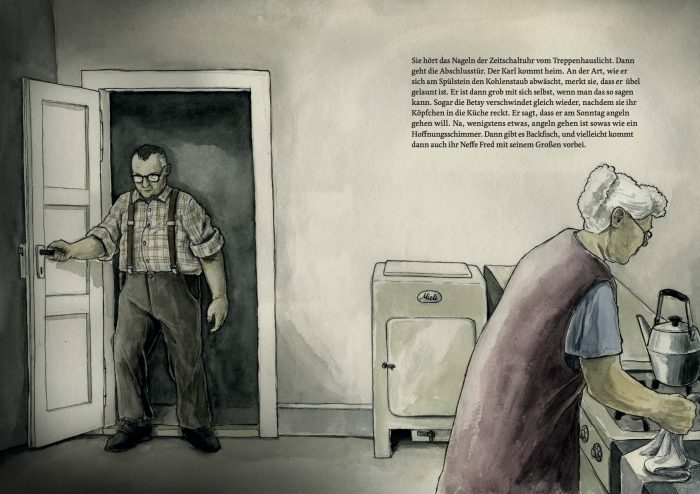 Martin Burkhardt has illustrated Steffen Herbold’s fictitious story, but based on true events, with realistically gloomy watercolours appropriate to the time. 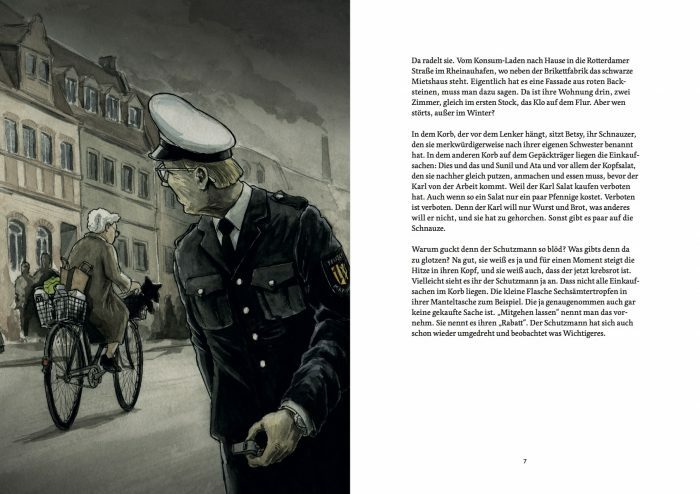 In 2009, kunstanstifter published Martin Burkhardt and Steffen Herbold’s book Pirates do exist.